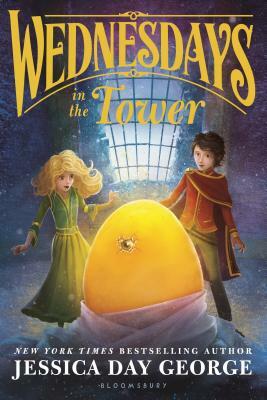 What will Wednesday bring in the second book in this charming New York Times bestselling middle-grade fantasy series from Jessica Day George? When her brother Rolf dares her to catch magical Castle Glower creating a new room, Princess Celie takes the challenge! No one knows the Castle better than she does. But as usual, the Castle has ideas of its own . . .
Celie finds the new room, and inside it is hidden a giant egg. It looks like the Castle wants Celie to care for the egg and whatever creature it hatches! Celie hadn't bargained for a pet, and caring for this one will prove to be especially tricky, once Celie and her siblings realize what else the Castle is hiding.